Imagine having clean smelling, odor-free pits all the time. You would wake up in the morning without being greeted by B.O., and you wouldn't have to apply heaps of deodorant and perfume to get through the day. Even on hot, clammy days, or during intense workouts, your skin would still smell amazing and fresh. Is this even possible? 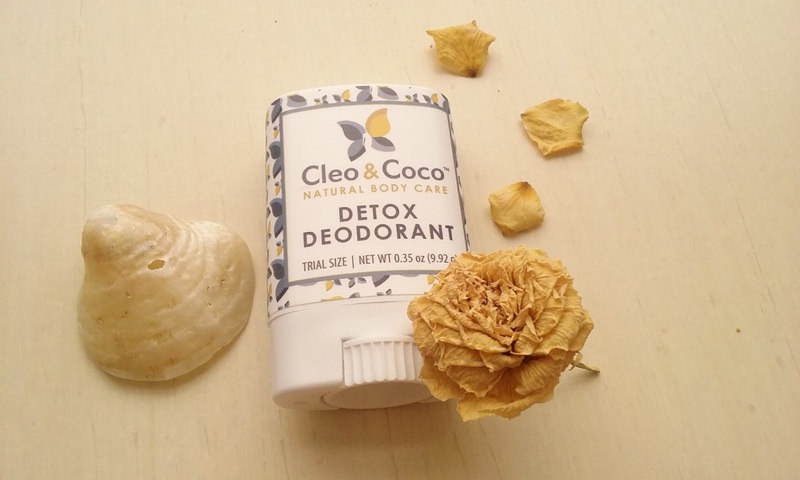 The answer is yes, all thanks to Cleo and Coco, a company dedicated to making all-natural products that keep you dry and odor free all day long. By simply making the switch to their deodorant (which is available in zero waste, kraft containers, btw), you'll be able to attain this sort of life. You could also pair it with their detox dust ( which comes packaged in an eco-friendly recyclable shaker container ) for extra coverage. Both products help neutralize odors, remove bacteria, and prevent pores from clogging. That's because they contain powerful, but all-natural, detoxifying ingredients. In fact, after a few days of using these products, you will notice you are naturally not as wet or have any B.O., even on days you forget to put on deodorant or detox dust. How do I know this? Because I experienced it myself. Suzannah Raff, the founder of Cleo and Coco, was kind enough to send me recyclable samples of her products in trial sizes. For the course of two weeks, I tried them out and am very excited to share with you the results. Ready to see for yourself? Keep scrolling. Why you want it: This deodorant is literally amazing - it wipes out odor so good, you won't even smell if you forget to put it on the next day. My review: I must confess I'm obsessed with this product. I've been using it for two weeks now and am very pleased with the results. I took it with me when I went to Pennslyvania with my boyfriend and it was super easy to transport because it's so small. It would easily fit inside any bag, for sure (even really tiny purses, because it's trial sized). Application is also easy: I just swipe it onto my pits like a regular deodorant, once a day (usually right before going out). As soon as I applied it for the first time, I noticed a difference. My odor was gone. I'll be blunt here: That's nothing short of a miracle. While I'm not the smelliest person in the world, my pits work overtime in the summer and there have been several times I've been embarrassed by the B.O. coming out of them. I've tried several all-natural deodorants too: Most of them only masked the problem with strong fragrances, or simply stopped working halfway through the day. This one? Totally blew my mind. The scent is not overpowering at all, and yet, as soon as I applied it, my B.O. was gone. And it was gone for the whole day. The next day, I wasn't as smelly, but applied it to my pits again. It went on pretty smoothly too, creating no shirt stains (even though the actual color of the deodorant is a charcoal grey). After a few days? I woke up to odor free pits. And that's saying something, considering one day this week was insanely hot and humid and I was sweating. Still, even then, I didn't have any odor (thanks to using this), which I can't say would've happened with other natural deodorants I've tried. This deodorant even prevents my pits from stinking after an intense workout (and that in and of itself is amazing, because I sweat boat loads at the gym). Even as I type this, I just did a smell check (yeah, I know, TMI), and still nothing. Mind you, I'm sitting in a fairly hot room with no A.C. on. Suffice it to say I'm not about to stop using this product, and when I run out, I'm definitely getting more. 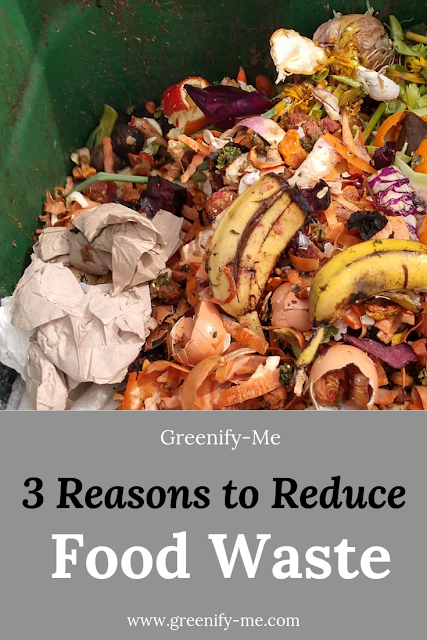 Totally recommend it (and if you want to keep it completely zero waste, buy the one packaged in a kraft container)! Note: This product is not vegan due to the use of beeswax, but the detox dust (listed below) is vegan. 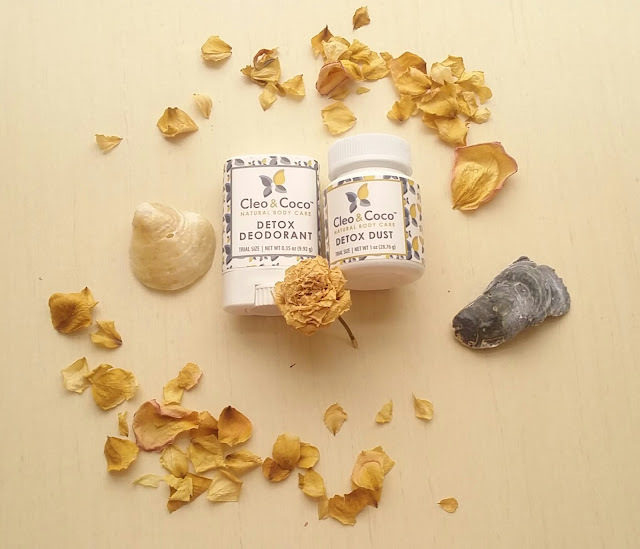 Cocos Nucifera (Coconut) Oil, Butyrospermum Parkii (Shea Butter), Beeswax (Cera Alba), Bentonite (Clay), Activated Charcoal, Sodium Bicarbonate, Maranta Arundinacea Root (Arrowroot), Vanilla Planifolia Fruit Lavandula Angustifolia (Lavender) Oil, Citrus Aurantium Dulcis (Orange) Oil. Why you want it: Pairs excellently with the detox deodorant - can also be used as a stand alone dry shampoo, or body powder. I especially loved using it on my feet. My review: Here's another confession: I have smelly feet. Ugh, that was so embarrassing to write, but it's true, they stink. But guess what? Not anymore, and it's literally all thanks to Cleo and Coco's detox dust. 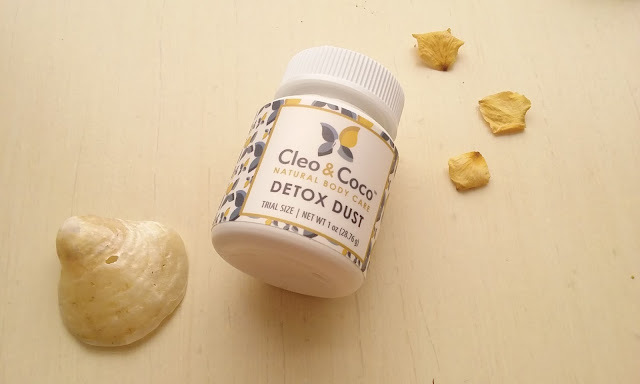 The detox dust functions similar to most body powders, but this one is made completely without talc (or any other un-natural ingredient, for that matter). I loved putting some on my feet after a long day out and just patting it in. It helped de-odorize my feet immediately and after continued usage, I have no foot smell! Trust me, I checked (yes, I know, that sounds weird, but how else am I going to know for sure?). I also love patting this stuff on after a shower. It helps me feel all the fresher and leaves my skin a little bit more soft than it was before. I also used it as a dry shampoo, and I was also pleased with those results. I'm having some work done on my shower (and there's only one bathroom in my apartment), so this stuff really came in handy. Just sprinkling some onto my scalp and massaging it in helped eliminate a lot of greasy oil in my hair, gave it a gently pleasant scent, and boosted hair volume! I don't recommend using dry shampoo every day (more like every other day), but in a pinch, this detox dust will do beautifully. Perhaps, most impressively, it can be used as a stand alone deodorant too. Just pat some on your pits and you're good to go. I personally liked using the detox deodorant with the detox dust. I would apply the deodorant first, then pat on some of the detox dust too. And guess what? It provided extra coverage, perfect for really intense workouts and really hot and humid days. I want to make it clear that this stuff won't stop you from sweating, and neither will the deodorant, but it sure will stop you from stinking! If you're vegan, I would recommend trying this over the deodorant (the deodorant contains beeswax). Also, both packaging for the detox dust (the trial and full sized containers) are recyclable, but if you're aiming to go for the more eco-friendly choice, I would choose the full sized container. 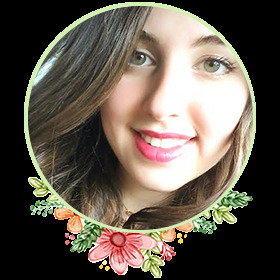 If you have any problems with the packaging, feel free to contact Suzannah herself at info@cleoandcoco.com (I'm sure she'd be more than happy to accommodate you, she's a very earth-conscious person!). Maranta Arundinacea Root (Arrowroot), Bentonite (Clay), Activated Charcoal, Vanilla Tahitensis Fruit, Lavandula Angustifolia (Lavender) Oil, Citrus Aurantium Dulcis (Orange) Oil. Cleo and Coco's founder, Suzannah Raff, was absolutely amazing to work with and quick to ship out my samples! When I received my samples, they came in a recyclable/compostable paper box with recyclable/compostable paper padding (super ecofriendly!). 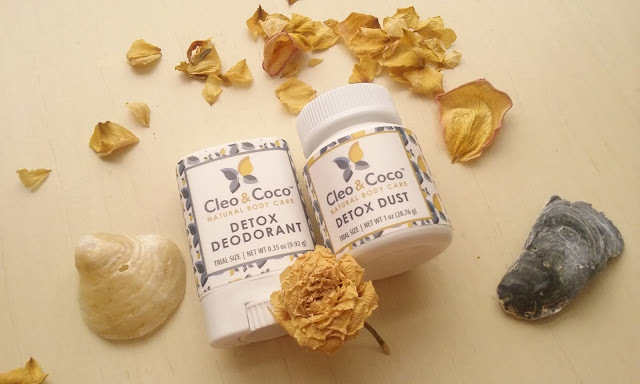 I love how each of these products is available in a zero waste form: The full sized detox deodorant comes in a (compostable) kraft container and the full sized detox dust comes in a recyclable shaker container. 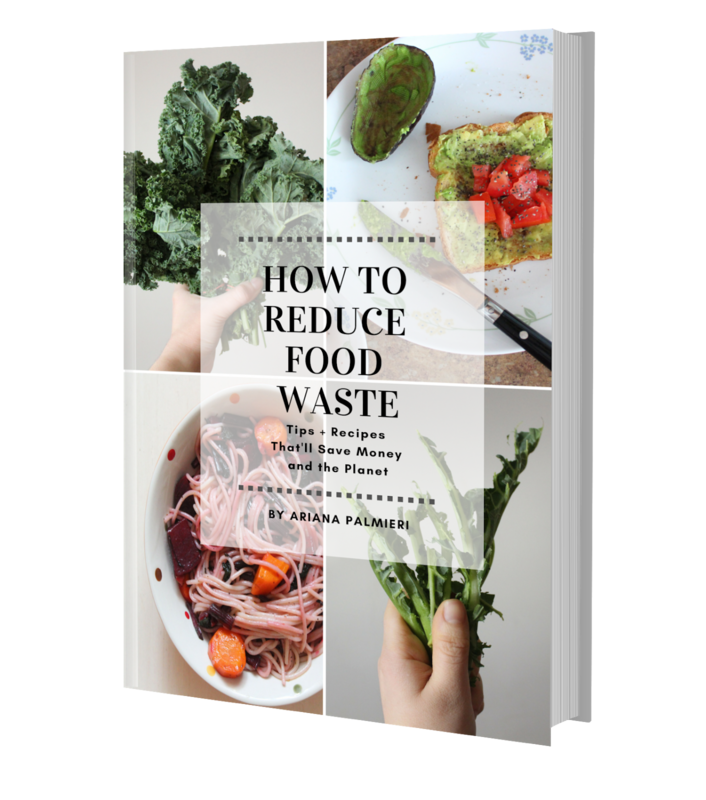 Zero waste win! I haven't finished using each product yet, which I'm grateful for - I absolutely love them! I adore how each product is only made from a few, all-natural ingredients you can completely pronounce. These products worked better than my expectations. They completely eliminated my odor in just a few days, even when I wasn't wearing the deodorant. No fibs here! Using these products seriously minimizes the amount of chemicals I put into the environment. The trail sized samples are perfect for traveling and can fit in almost any sized purse. I can recycle the trail sized samples I got when I run out. There are so many health benefits to using the ingredients in these products (after all, half of the ingredients used are detoxifying for the body). My skin felt absolutely amazing after using each product - no allergic reactions, uncomfortable sensations, and most importantly no odor! The detox deodorant is not vegan (sorry all my vegan zero wasters). The trail samples are made out of plastic (but they are recyclable, so not too big of a problem). Conclusion: There's no other deodorant out there like this. It pretty much blows the competition away. And the detox powder is just as amazing. I cannot recommend this stuff enough. If you truly want to stop B.O. in its tracks, this is the only way to do it. These products won't just mask your scent with more scent: They'll thoroughly detox you. If you're vegan, try the detox dust (it can be used as a dry shampoo, deodorant, and a body powder, so it's very versatile). If not, do yourself a favor and get both for twice the fun. Also, be sure to follow Cleo and Coco on Instagram and Facebook for the latest updates on their top of the line products! *This article may contain affiliate links.